We are thrilled to offer accommodations and amenities to your four-legged family members at our pet friendly Key West hotel. We don’t discriminate against pets – all breeds and all sizes are permitted at our pet friendly accommodations. We’ll even provide large dog beds, pick-up bags, water and food dishes if you forgot yours at home! 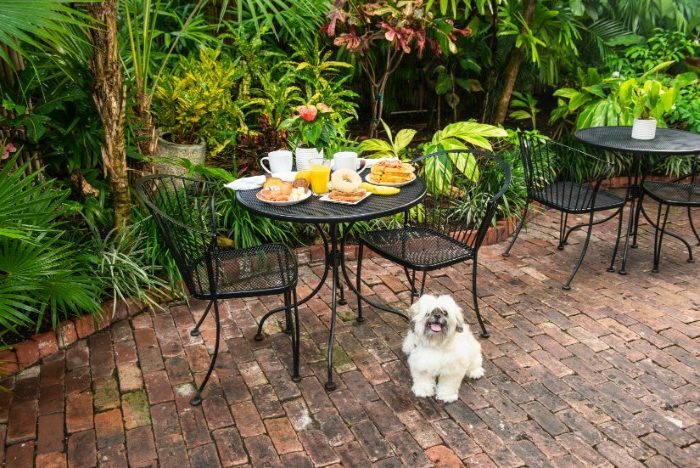 The best part about our pet friendly Key West hotel? 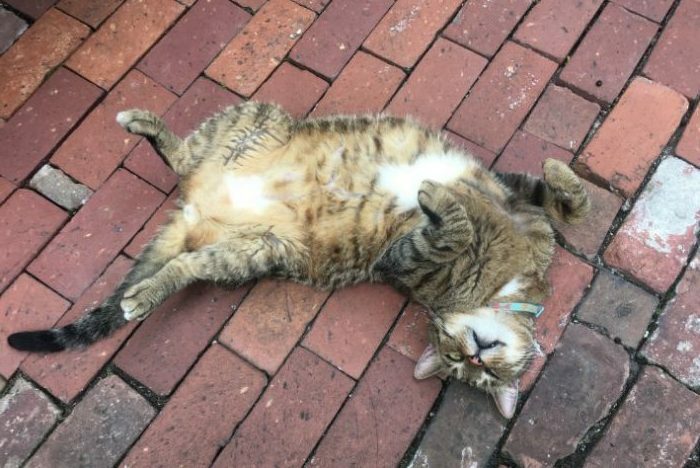 Since we’re located only half a block from Duval, it’s easy for you to come back to check on your furry friend throughout the day, or stop by periodically to give your pet a break from the heat. Our staff and pet ambassadors look forward to making you feel right at home. 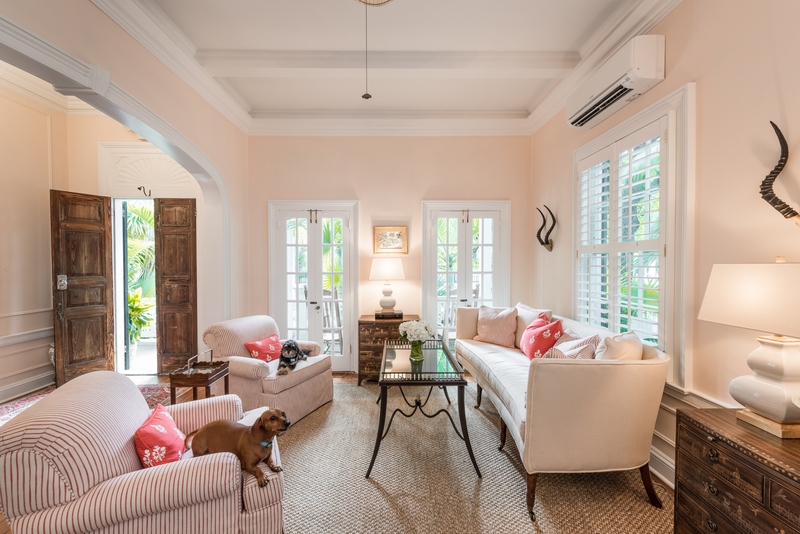 Ask our concierge for more information about pet friendly activities, or read about our favorite dog friendly Key West restaurants! We have just a few rules for bringing your pet, so make sure to read our pet policies before making your reservation. 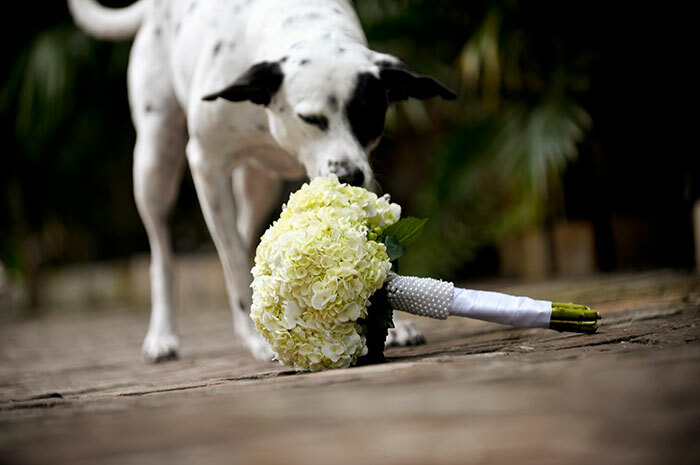 Come choose your room at the best bed and breakfast in Key West and let our staff pamper you and your furry companion! Where were you born and how old are you? I was rescued by Alison and Haytham at the ripe age of 6. I'm not sure where I was born but my parents think it may have been Cuba because I still don’t understand any English words. Sit? Shake? No entiendo, man. What kind of dog are you? 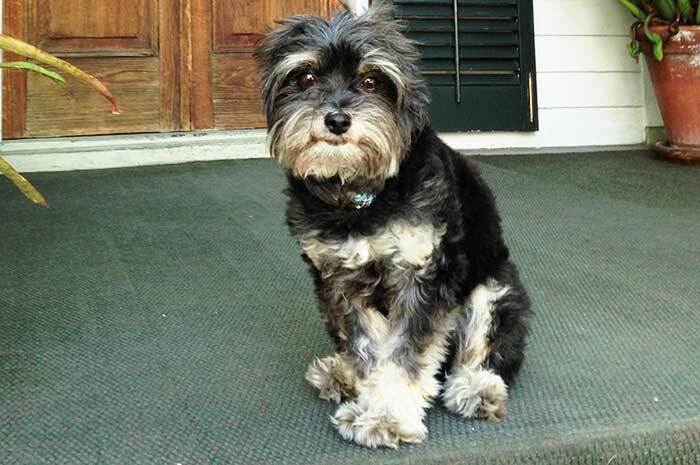 I am a Havanese. Eight furry pounds of pure muscle. Favorite Restaurant in Key West? Green Parrot for the popcorn, Roostica for the cheesy pizza, Santiago's Bodega for the Saganaki! What is your job title and description? Top Dog Concierge. 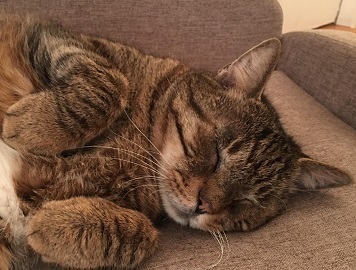 You'll find me napping in the Old Town Manor lobby 40 hours a week! Where were you born and how old are you? Who knows! I was taken in by the great people at Florida Keys SPCA. I'm as mysterious as I am loving and lovable. They say I'm about 6. What kind of cat are you? The kind that loves pets, snacks, good company, and a good nap. 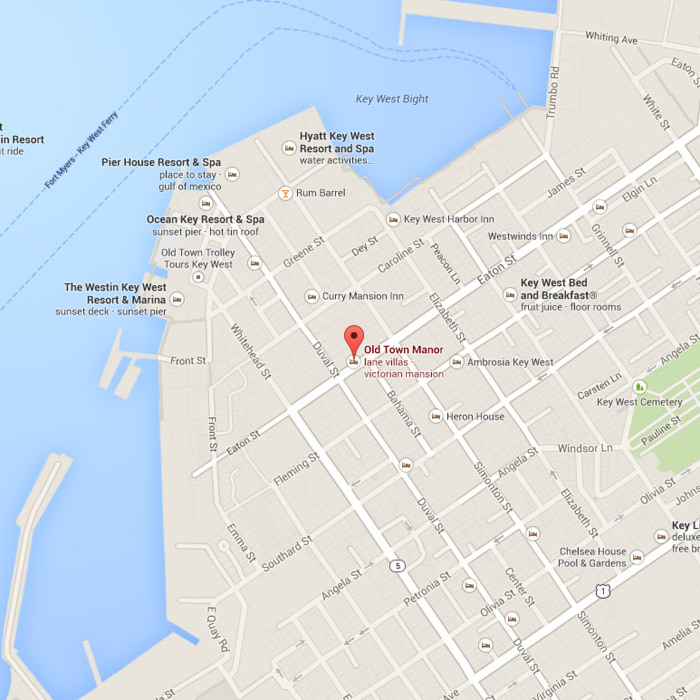 Favorite Restaurant in Key West? Any and all! I especially love the Old Town Manor breakfast! What is your job title and description? Quality Control Taste Tester for smoked salmon, bacon, and organic hard boiled eggs. I'm usually napping off a good snack in the Manor's lobby or resting in the shade in the Manor's gardens.